Officially A Yuppie: Great Soundtracks: O Brother, Where Art Thou? 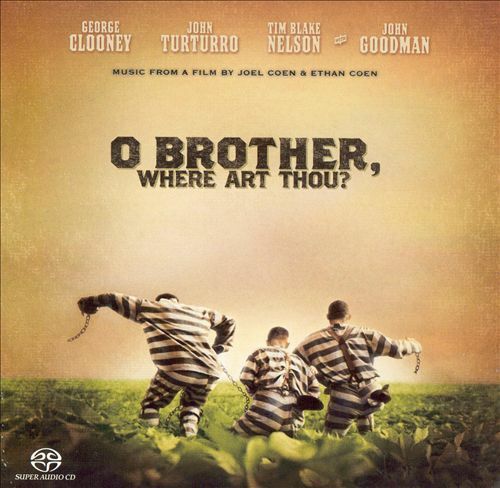 When the Coen Brothers get together to create a film it is always a special event, yet, when they blended their direction with music, a timeless masterpiece was created -- O Brother, Where Art Thou? The film, which was opened to critical acclaim, featured the music of America during the Great Depression. With T-Bone Burnett at the helm as executive soundtrack producer, the country king assembled Alison Krauss, Emmylou Harris, Norman Blake, The Cox Family and others to cover traditional songs and music of that era. The result brought songs that were almost 100 years old to a whole new audience in 2000. Hailed as one of the greatest soundtracks of all time, it spent 20 weeks on the Billboard charts when it was originally released and continues to be praised by fans and critics.